What Is Chronic Lyme and How Does It Affect Your Oral Health? Chronic Lyme disease is also called post-treatment Lyme disease syndrome (PTLDS). It refers to chronic, ongoing symptoms of Lyme disease that continue even after someone has received treatment for the condition. And since your mouth is connected to the rest of your body, taking care of your teeth and gums is important to avoid aggravating your condition and making these symptoms worse. 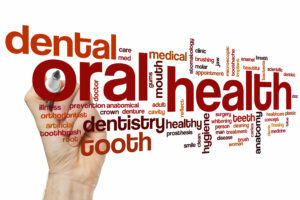 How Can You Maintain Good Oral Health? Talk with your dentist – Ask a dentist for recommendations of natural solutions that may be helpful such as salt water rinses or clove oil. Practice good oral hygiene – The cleaner your mouth is, the healthier it will be! Brush at least twice a day for two minutes and floss once. You might also consider an oral irrigator and/or electric toothbrush. Eat a healthy diet – Your diet doesn’t have to be perfect, but simply limiting sugars and eating more fruits and vegetables will improve both your general health and teeth and gums at the same time. Schedule regular checkups – Regular visits every 6 months are important to catch small issues early so that treatment can be as conservative as possible. Opt for tooth-colored fillings – Tooth-colored fillings don’t contain any metals like amalgam fillings. Research is ongoing and the link isn’t entirely clear, but since there’s a possibility that metal fillings contribute to health problems, it certainly doesn’t hurt to avoid them. Many people think of the mouth as somehow being separate from the rest of the body, but that’s not the case at all. A healthy smile is an important step towards good overall health and reducing the symptoms associated with chronic Lyme disease! Dr. Anita Naik Madhav is a family dentist in Plano who always considers the link between the general health of her patients and their oral health. Her goal is to educate people on the effects that poor oral health can have on their bodies and help them reduce those effects. If you have any questions, she can be reached via her website or at (972) 618-1111.